When someone says the words, “English Learners,” you might automatically think of a few places — namely, California, Texas, and perhaps other border states like New Mexico. 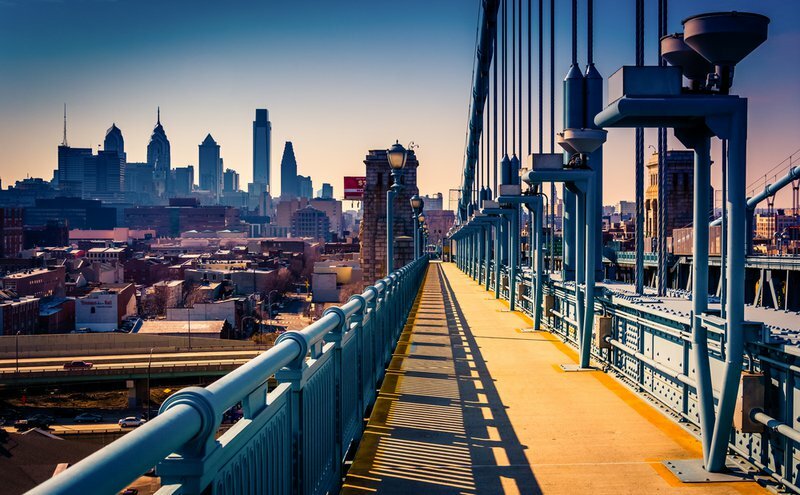 Philadelphia probably doesn’t even make your list of top ten places. Heck, not even your top 20 places. Yet, in 2014-2015, the city served over 12,000 EL students in their public K-12 and charter schools which is roughly 1 in 10 students. Overall, EL enrollment grew 5 percent across the district between 2009-2015, but this growth was much higher in certain areas of the city. For example, West Philadelphia High School saw a 75 percent increase in their EL student population in that time period. In 2015, the city commissioned the Philadelphia Education Research Consortium (PERC) to help them identify “ways to more efficiently and effectively meet the needs of ELs” with the goal of reducing “long-standing achievement gaps between ELs and their native English-speaking peers.” The result was a series of four briefs, published by PERC this June, on issues surrounding instructional approaches, family and community engagement, identification and characteristics, and opportunities for improved infrastructure for ELs in the School District of Philadelphia. The briefs were developed with input from, but not limited to, the Deputy Chief of Multilingual Curriculum and Programs in the School District of Philadelphia, administrators and/or EL program leads at district and charter schools in Philadelphia, ESL teachers and general education teachers, and the Bilingual Education Advisor in the Pennsylvania Department of Education. That diversity of language and English language proficiency means that the district has had to create a myriad of instructional programs to serve ELs. In the brief, Educating English Language Learners: Instructional Approaches and Teacher Collaboration in Philadelphia Public Schools, PERC highlights Philadelphia’s three distinct instructional programs for ELs: bilingual education (e.g. dual language and transitional bilingual programs), English of Speakers of other languages (ESOL) and Sheltered Instruction, which are content area classes (e.g. science, social studies) that only enroll ELs and that combine content and language instruction into lessons. All bilingual programs currently offered in Philadelphia are in English and Spanish — a full 52 percent of ELs in the district speak Spanish. Native speakers of other languages are given other supports such as push-in and pull-out services from ESOL teachers that offer little in the way of home language support. Some elementary schools utilize volunteers from the community who speak the child’s home language to provide tutoring and extend learning outside of the classroom. The district has responded to the scarcity of appropriate educational materials with increased collaboration between ESOL and general education teachers in hopes of creating an easier process of adapting current materials. Some of these collaboration strategies included sharing lesson plans, co-monitoring of student grades, and even sharing spaces such as an office. The lack of teacher training was also addressed through collaboration with ESOL teachers providing feedback and insights to general education teachers. A general education teacher said, “I made way too many assumptions about how much I was saying. Could the students really understand? I needed to be much more intentional and proactive about being clearer in my language,” as she recounted a lesson she learned while working alongside an ESOL teacher. In a different brief, Educating English Language Learners: Opportunities for Improved Infrastructure, district officials also noted that there are limits to relying too heavily on ESOL teachers to provide all instructional services for ELs and help prepare classroom teachers to work with ELs. For one, the district is struggling to fill all their ESOL and bilingual teacher vacancies. Another is the problem that teacher quantity is determined at the beginning of the school year without accounting for possible increase in student numbers. So while ELs continue to arrive throughout the year and enroll into schools, personnel often do not increase which leads to large caseloads for ESOL teachers. This brief highlights the importance of creating bi-directional relationships and varied opportunities for engagement. It also makes clear that understanding the importance of family engagement is not enough but rather, opportunities presented need to align with the availability of parents and resources. Using the Epstein framework for engagement, which include six components — parenting, communicating, volunteering, learning at home, decision-making, and collaborating — the brief details some of the successful efforts made by schools and educators in engaging families. Besides long-standing practices such as partnering with families for in-house literacy activities, schools and educators also experimented with family involvement through community walks, festivals, and cooking projects. They also actively encourage families to foster native languages at home and to take an active role in parental committees that influence EL education. To address linguistic barriers between teachers and families, schools are working with community organizations and translation tools to break down these obstacles. Additionally, schools and educators are actively trying to create meaningful engagement coupled with flexible scheduling to accommodate working parents and families. Taken together, these four briefs highlight some of the best practices being utilized in Philadelphia’s public schools, but also raise up continued challenges. At the conclusion of all four briefs, PERC notes that they are “designed to be used as a platform to begin more intentional conversations,” on how to best serve ELs.